A quick project to see a quick result. The idea was to replace my old black skirt which I had to throw away as it was too large and too used. The fabric is not exactly black (more a very dark grey) and has a design. I bought a coupon of 3 meters so am planning a jacket, as well as a top to add to this skirt. 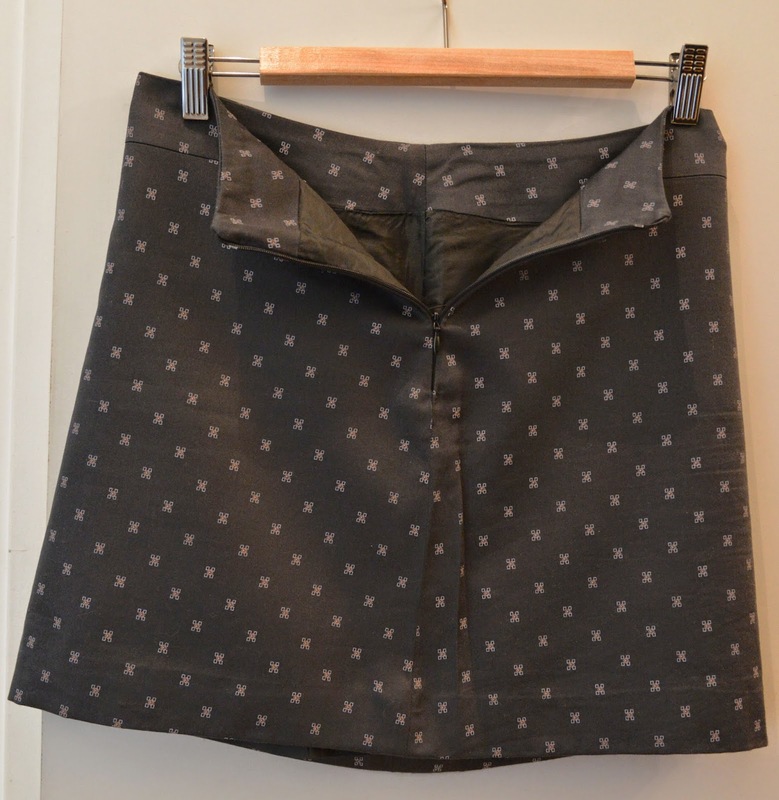 The skirt is fully lined with a side zipper and a large waist band. What I did not think through is the suitability of the fabric design to my pattern. 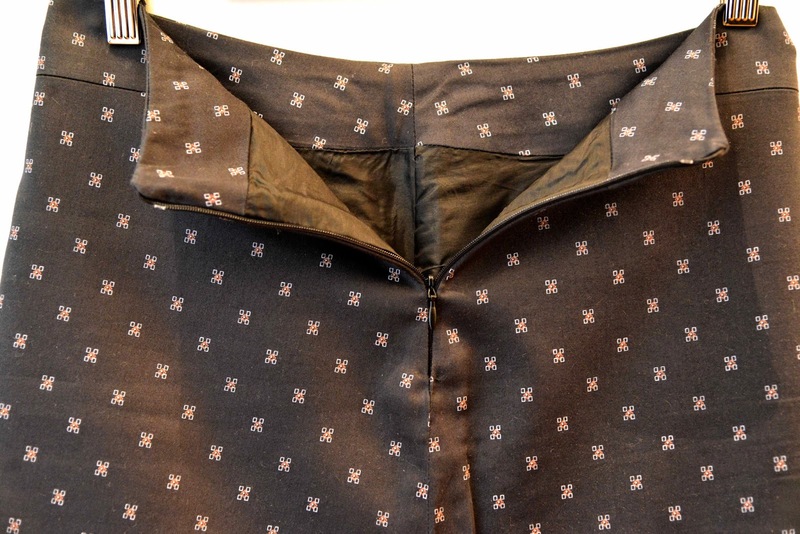 The skirt part is not exactly straight so matching the sides and the skirt to the belt was not an easy task. What was great with this project was the instant gratification. After one evening the skirt was pretty much completed, the other evening was spent only on hemming, as I hem even the lining by hand, and small finishing on the zipper. Thanks to its looser form, I did not have to adjust the pattern, be it in the beginning or in the end. After having it worn, I realized that the fabric creases a lot and is not as stiff or universal as my original black skirt. So this skirt will probably be transformed into a summer one, rather than a spring one. I am also planning a short top in the same fabric to create a “sort-of-a-dress”.